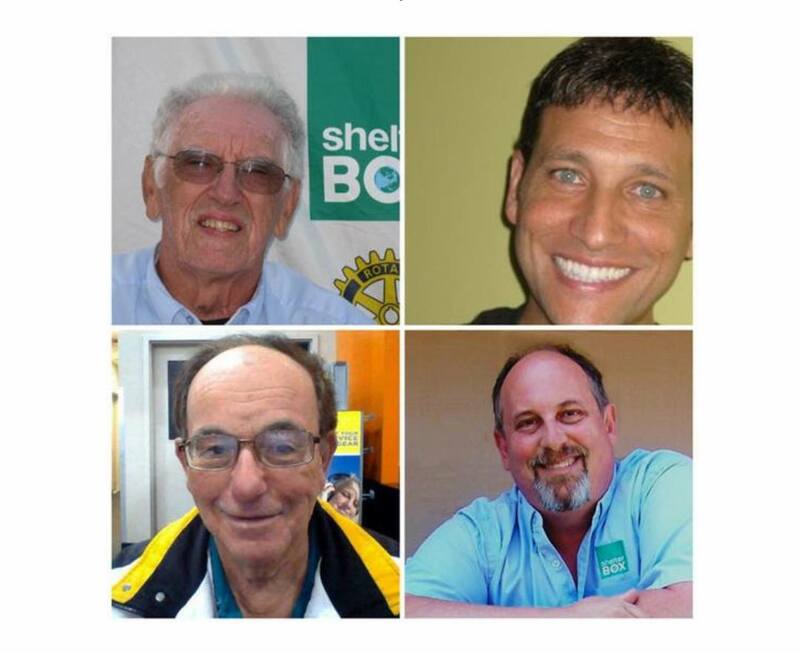 December 2017 – ShelterBox USA inducted four of its ambassadors into their Hall of Fame after each reached a fundraising milestone, raising more than $100,000 to provide emergency shelter and supplies to people who have lost their homes to natural disaster or fled because of civil conflict. Tom Grant of Zelienople, Penn., Michael Mira of Zephyrhills, Fl., Len Nemeroff of Hamilton Township, N.J., and Bill Tobin of El Dorado Hills, Calif. join 22 others who have reached this milestone. Funds raised through their combined efforts have provided more than 400 families with emergency shelter and supplies. 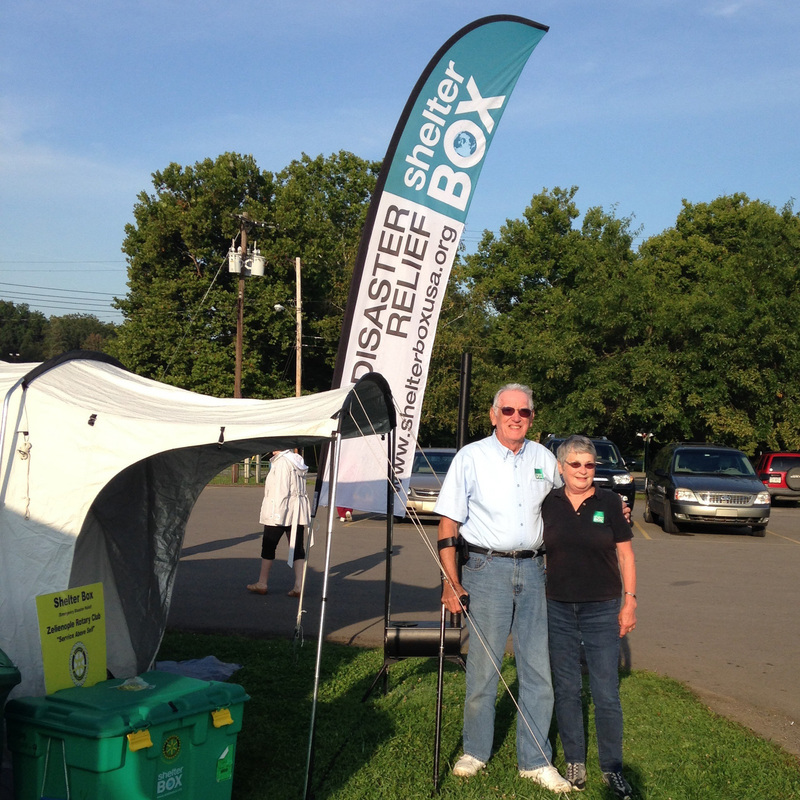 ShelterBox USA has a network of nearly 500 ShelterBox Ambassadors across the country. Ambassadors are volunteers who represent ShelterBox in their communities to raise awareness and fundraise on behalf of the organization. 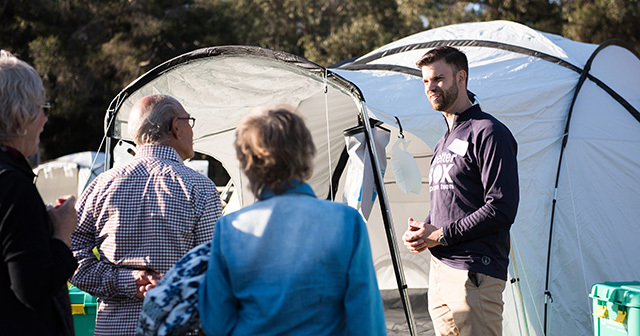 “Volunteers are imperative to ShelterBox’s ability to provide warmth, dignity, and hope to vulnerable families during their time of greatest need,” said Kerri Murray, ShelterBox USA President. 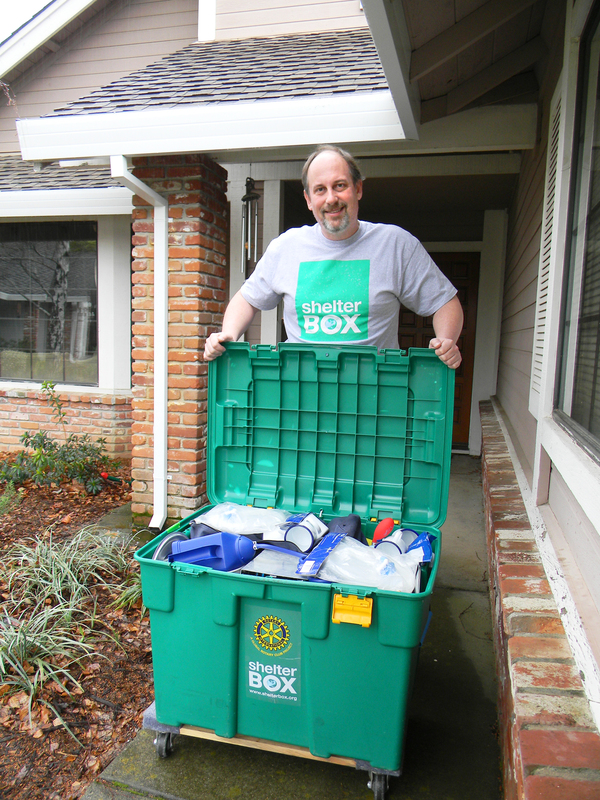 Grant has volunteered for ShelterBox USA since 2011. A retired social studies teacher, he and his wife Marie have given hundreds of presentations on behalf of the organization. He has earned the President’s Volunteer Service Award multiple times for his service on behalf of ShelterBox USA. As a survivor of polio, a potentially fatal infectious disease, he has dedicated his life to helping others. 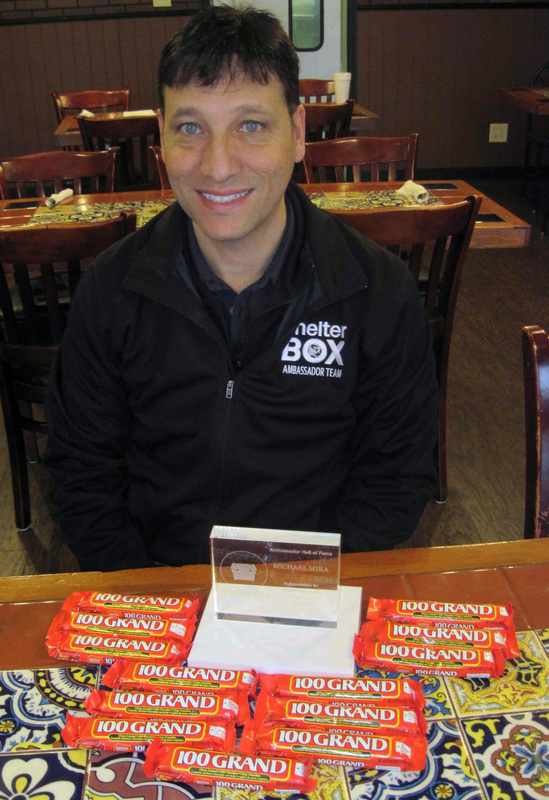 Grant is a member of Zelienople Rotary Club and has served as the club’s president. Rotary International is a longtime leader in the End Polio Now campaign. The Grants chair the campaign for Rotary District 7280, made up of 40 clubs in the western Pennsylvania region. A resident of Zephyrhills for more than 30 years, Mira owns the restaurant Fresh Country Café. Despite the demanding schedule of being a local business owner, Mira makes it a priority to give back to others. Mira has served as president of the Zephyrhills Chamber of Commerce, president of the Noon Rotary Club of Zephyrhills and president of East Pasco Meals on Wheels. 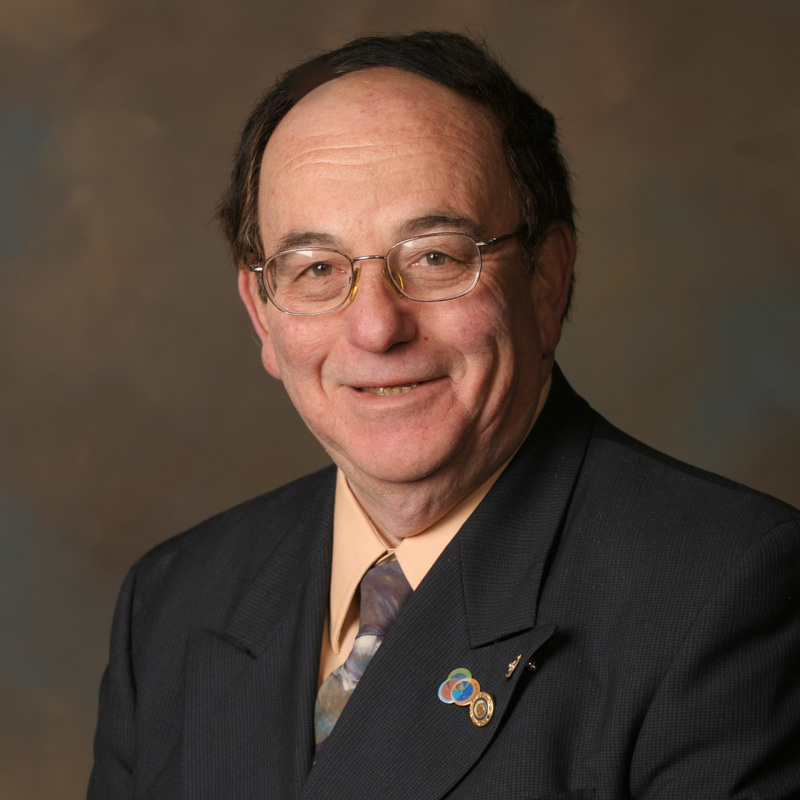 In addition to serving as a ShelterBox USA Ambassador, Nemeroff is a member of the Rotary Club of Hamilton Township. He served as president of his club, was a Paul Harris Fellow, and was named Rotarian of the Year for 2010-2011. He has been a Rotarian since 1984. Tobin, a semi-retired nuclear power plant inspector, has been a member of the El Dorado Hills Rotary Club since 2004, serving as president in 2010-2011. He is part of the planning committee for the El Dorado Hills Veterans Memorial. Tobin has received the President’s Volunteer Service Award six times for his many hours of volunteer service through ShelterBox USA. 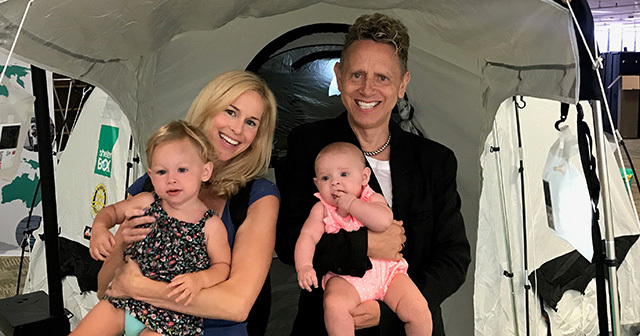 He was recognized as the ShelterBox USA Ambassador of the Year in 2013. 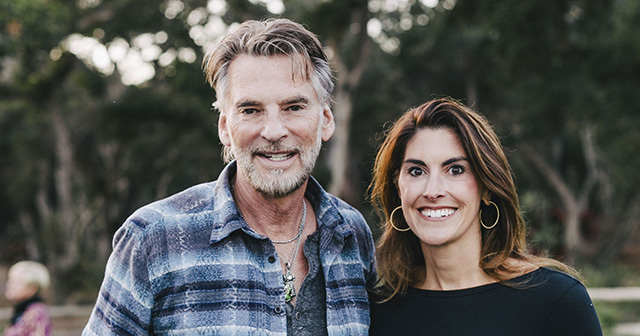 Tobin and his wife, Sherie, have been residents of El Dorado Hills since 2003. They have two adult sons, Patrick and Danny.